Posted by thelighthousestudio in campaign. Ornusa Cadness for Maldita and Maldita Menor, their new line for the younger Maldita! Instore display and billboard! 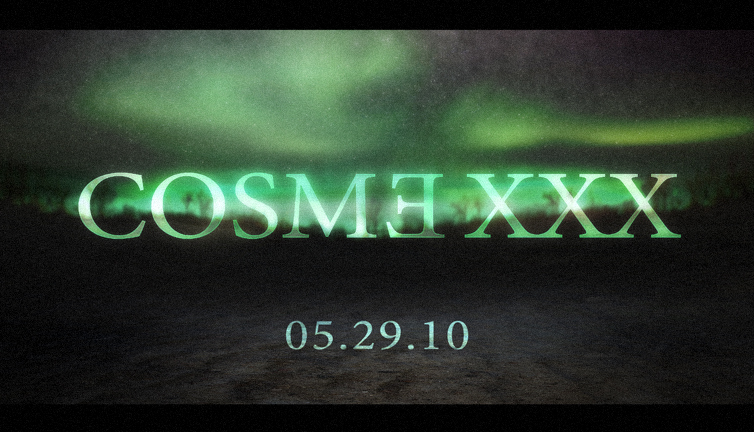 Featuring model Alvin Aguilar who’s appearing on Niccolo Cosme’s May photo exhibit which till today remains untitled. Posted by thelighthousestudio in campaign, collaboration, portraits. 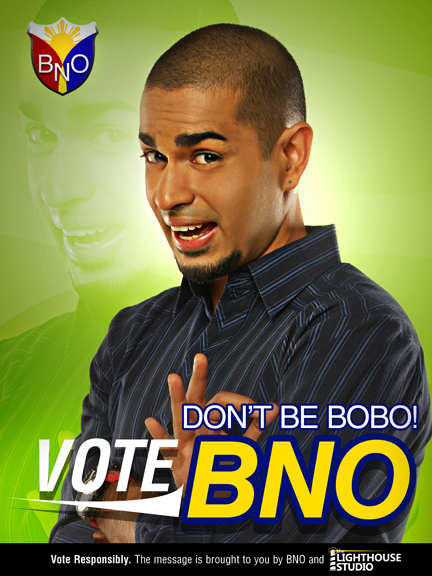 The “Boy’s Night Out” and the Lighthouse Studio is out again with a great campaign, a “don’t be bobo and vote” campaign! So if you’re happy and you know it clap your hands! clap clap clap! 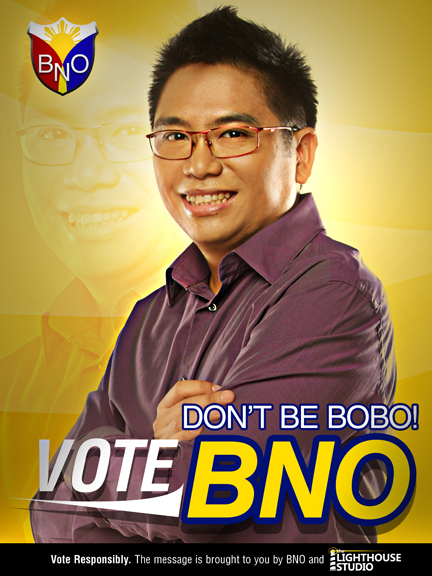 and if you’re not Bobo and you know it! 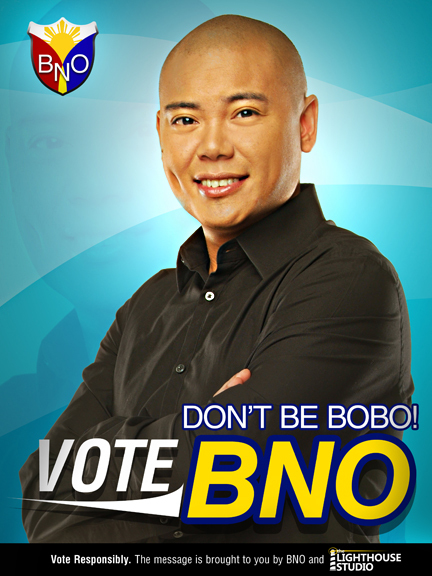 You go out and VOTE this coming elections! haha!